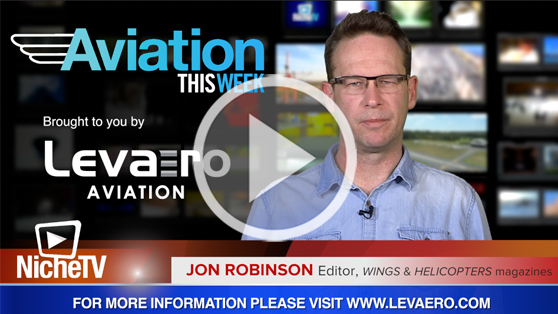 In this episode of Aviation This Week: KF Aerospace breaks ground on a $30 million expansion in Hamilton, which will also benefit Mohawk College. GAMA reports on year-end aircraft shipments, with the first increase in all segments since 2013. The Boeing-Embraer joint venture receives Embraer shareholder approval. >> Find Helicopters on Facebook. >> Follow on Twitter @helicopters_mag. If you visit any links, we will provide your subscription contact info (not your email) to the advertiser or sponsor.